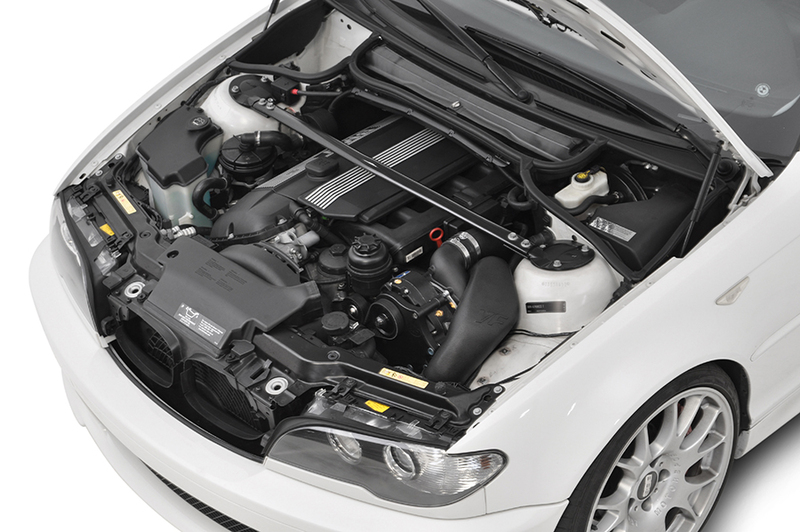 VF-Engineering chose to supercharge the BMW E46 3 Series to improve throttle response and mid-to-top end power with the centrifugal Vortech supercharger. With the 3.0 liter version being a bored and stroked upgrade of the 2.8 motor, both variations are otherwise virtually identical. Maintaining the the original BMW quality, smoothness and reliability were the key factors in the VF design. This is where the VF software comes into full play. VF have harnessed reliability of Vortech superchargers and quality of VF custom software with their 10 years of supercharging experience and worldwide OEM supply contacts to create the ultimate supercharger system for the ultimate driver’s car. All key components are 100% made in California. This system has been fully road tested and dyno tuned on both the Mustang MD500AWD and in-house Dynojet 224XLC dynamometers with and without engine load. 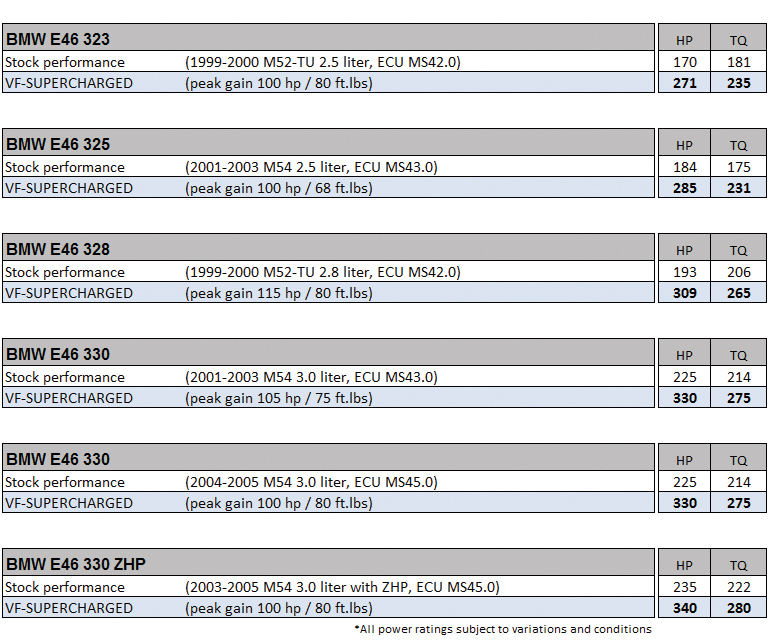 All kits are setup at 6 psi and create as much, if not more, power than similar products running greater levels of boost.